Wild About Zebra Inspired Matching Apparel. Available in 83 Dog, 13 Cat and 32 Horse Breeds. 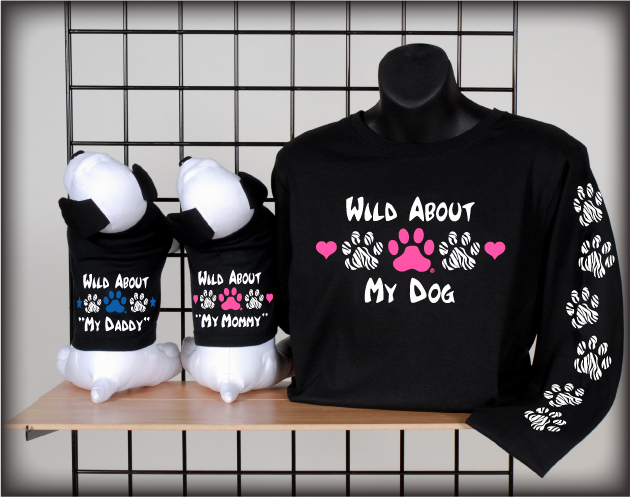 Or, Personalize with Your Pet(s) Name. 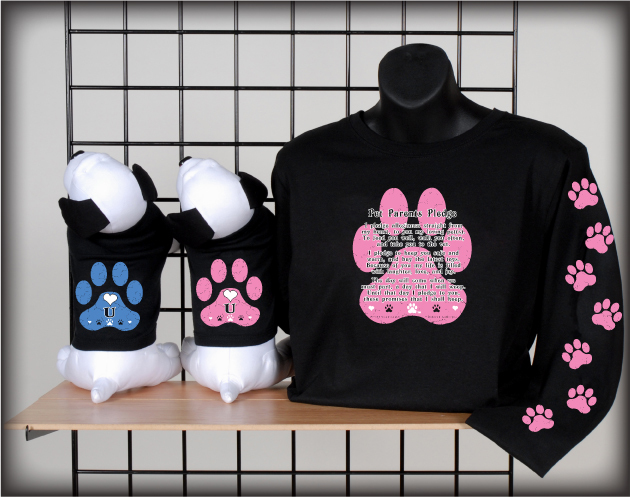 Available in a Large Selection of Shirt Colors, Plus Short Sleeves & Hoodies. 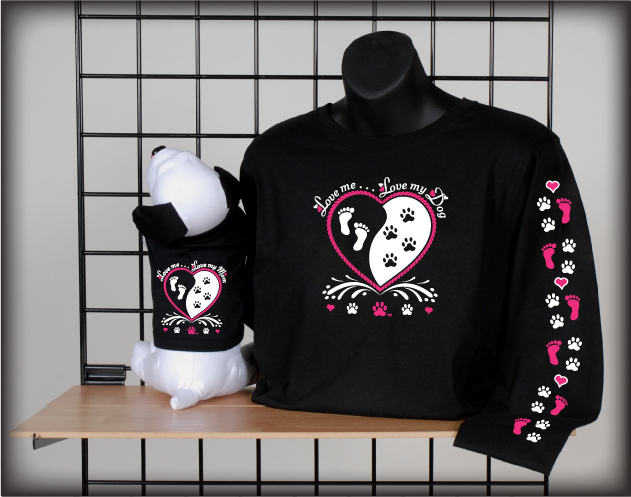 Click here to buy for Pet(s) Yin Yang Matching Apparel for Dog, Cat and Horse Lovers of ALL Ages. Available in a Large Selection of Shirt Colors, Plus Short Sleeves & Hoodies. Click here to buy for Pet(s) "Pet Parents Pledge/Spiritwear"
Express the Love You Feel for Your Pet(s) and...Your School, College or Pro-Sports Team! Available in 67 School Color Combos, Plus Short Sleeves & Hoodies.